Breath Space Singers helps people make the most of their lung capacity and learn good breathing habits through singing. Breathing Space Singers is following in the footsteps of the ground-breaking ‘Singing for Breathing’ programme pioneered by the Royal Brompton and Harefield Hospitals and draws on research carried out by Sidney de Haan Arts for Health Institute at the University of Kent (Canterbury). After an initial pilot in March 2015 the group was supported for 3 months by the British Lung Foundation ‘Singing for Lung Health’ training programme. Breathing Space Singers was set up in early 2015 by local singing leader Pip Wright and retired nurse teacher Chris Moore. 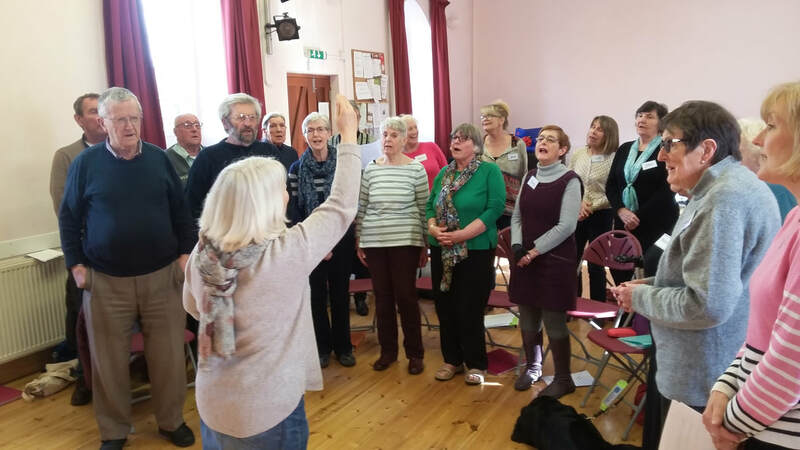 Breathing Space Singing is a not-for-profit Community Interest Company formed to run Breathing Space Singers groups in West Cornwall. The Breathing Space Singing team is made up of: Pip Wright; Chris Moore; Liz Shailes and Chris Caseley (specialist respiratory nurse).